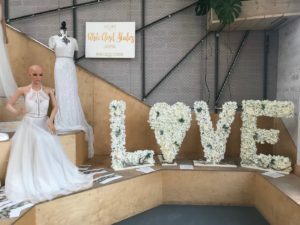 An adaptable event space in Liverpool held a wedding open day for original and forward-thinking couples at the weekend. Hinterlands, based in the Baltic Triangle, opened its doors on Saturday for those planning their big day. The company aims to “make the wedding experience less prescriptive and more representative of your unique style and taste”, in its multi-purpose venue. In attendance were photographers, cake makers, makeup-artists and caterers. Aiming to bring something different to wedding receptions, pancake stalls, grazing tables, floral letters and an outdoor pizza van were also on display. All of these suppliers were from local and independent businesses from Merseyside and further afield, some of which offered 10% discount for attendees of the fair. Hinterlands opened just over a year ago, but the company is still starting up. 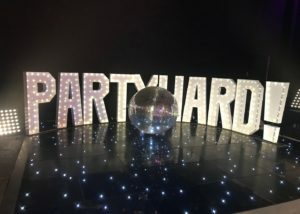 Marketing Co-ordinator, Jordan Barbrooke, told JMU Journalism: “Hinterlands is a unique venue as we have three big spaces, one of which is completely different and there is nothing else like it in Liverpool. There are no windows and it is a complete blackout space that has not been seen before. Jordan encourages those with crazy ideas to come and fill the blank canvas of the biggest space as a way to express themselves on their wedding day. She added: “It is important to have local and independent businesses at the fair as it keeps the economy going.